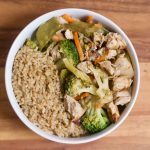 This 21 Day Fix approved Simple Stir Fry is light and delicious and totally customizable with your favorite protein, veggies, and rice! This post contains affiliate links for products I’m obsessed with. 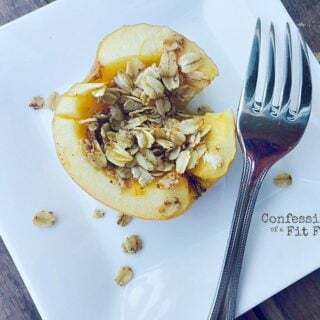 Confession #19 – After a long bout with the stomach bug from hell, I finally feel like cooking again. Yay! I actually REALLY missed it. I’ve always loved to cook, but sharing recipes with you guys is something I look forward now almost as much as eating. 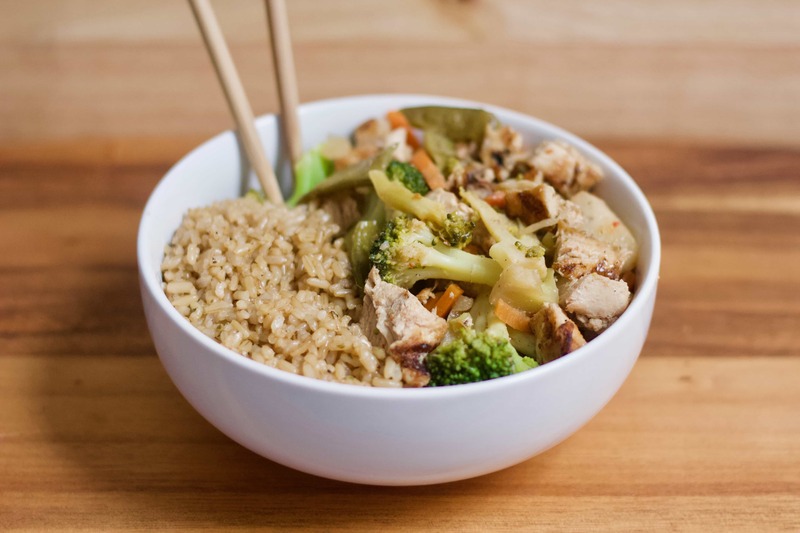 Because I wasn’t ready for anything heavy, I made this light and healthy stir fry that was surprisingly delicious with just a few pantry ingredients. Totally in our rotation now especially when I need something quick and easy! 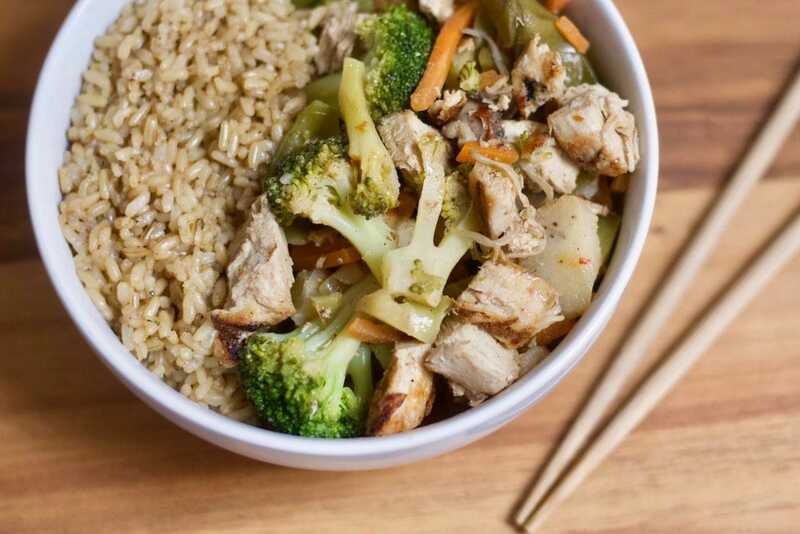 This little stir fry dinner is the perfect way to use whatever veggies you have in your fridge. I love it with anything – broccoli, asparagus, baby Bella mushrooms – whatever I have left at the end of the week that needs to get cleaned out. And through Beachbody, I learned about Coconut Aminos …a healthier and gluten free substitute for soy sauce. Totally fix approved and found at my local grocery store or on Amazon. Give it a try if you haven’t already – it’s packed with vitamins, minerals, and tons of amino acids while making your food taste super yummy. 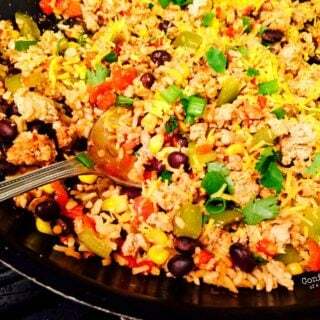 I love making this with cauliflower rice for a low carb option, or brown rice or quinoa that I prepped for the freezer. 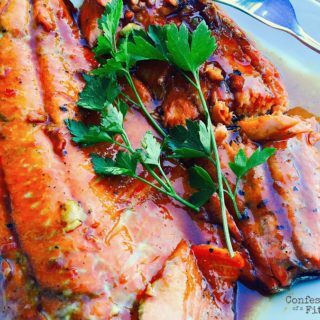 And if you want to spice this up a bit, shake on some crushed red pepper or chili paste! Totally customizable, so do you! If you like this dish, I have lots of other Asian inspired dishes that you can also check out like my Instant Pot Beef and Broccoli, Asian Chicken, Ramen Noodles, Kung Pao Cauliflower, and Chicken Pad Thai! 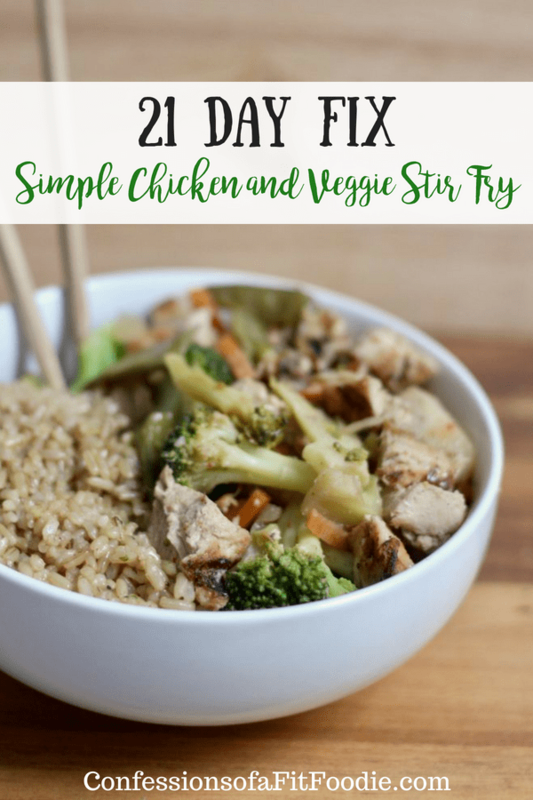 This 21 Day Fix approved Simple Stir Fry is light and delicious and totally customizable with your favorite protein, veggies, and rice! Spray pan with cooking spray and add 1 tsp of coconut oil. Stir fry veggies on medium heat until soft and add garlic. Cook for a minute then remove veggies from pan and set aside. Add chicken to pan and cook over medium heat until cooked through. If necessary, add more cooking spray. Remove from pan. Turn heat on high and add chicken broth and coconut aminos to deglaze pan. Squeeze juice of one lemon and heat for a minute. Add chicken and veggies back to pan and coat with sauce. Season with sea salt and pepper and freshly grated ginger. 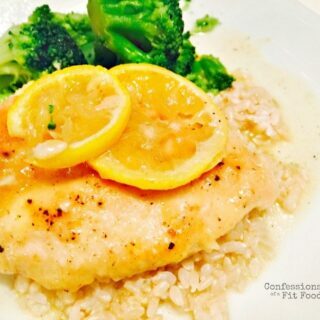 Serve over brown rice or quinoa. Or totally alone! No yellow needed! I’m sorry – this recipe totally needs updating! I used 4 green and 4 red to make enough for my family! So you cooked your chicken first and then added it to the cooked veggies? And did you season your chicken with anything or did you just dice it up and cook it in the pan before the veggies? Yes! I cooked it, then removed it from the pan. After I everything is back together and warm, then I season! This was incredibly delicious! The fresh ginger really finished it. I’m not eating any sugar or soy and this recipe did not disappoint. Thank you! That’s so great, Chelsea! Yay! Hi what are coconut aminos counted as? Thanks!